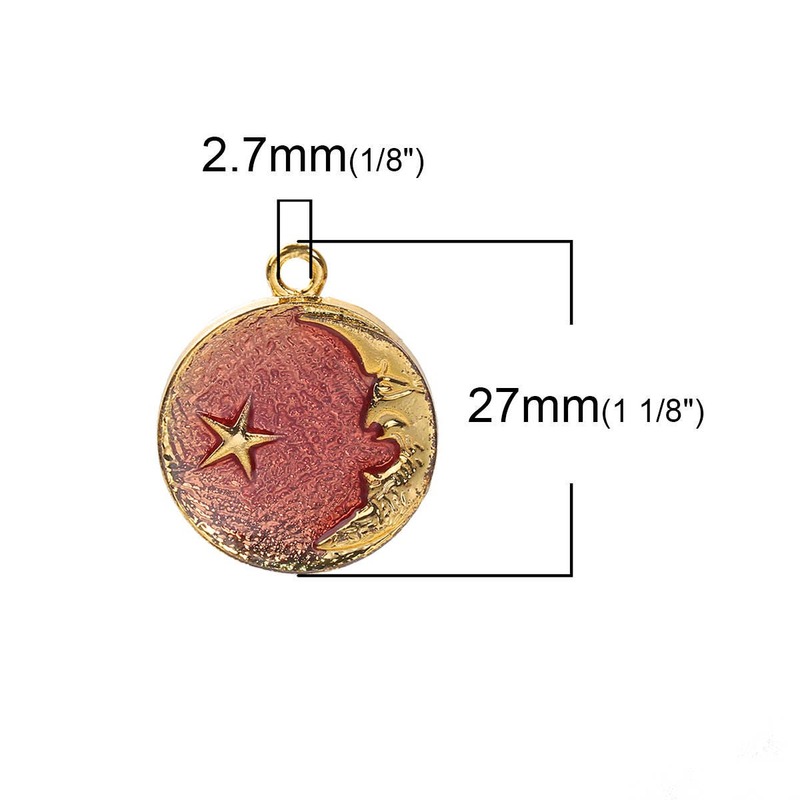 Crescent Half Moon and Star Gold Plated Red Enameled Pendant Charm, 27x23mm. They are single sided great gold detailing. 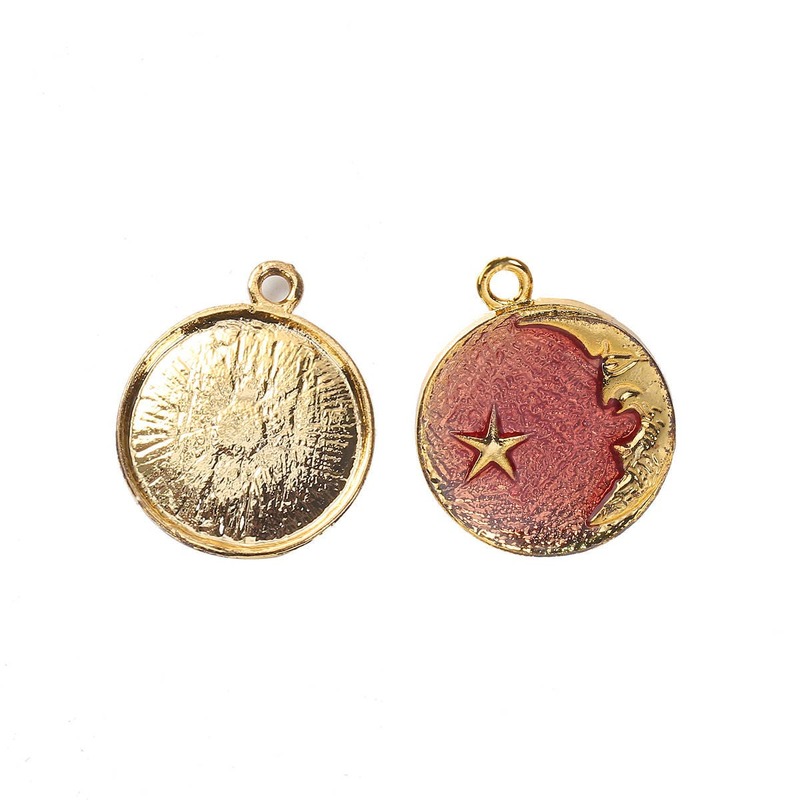 Add a jumpring to easily attach to charm bracelets, book marks, key chains, zipper pulls, necklace chains, earwires and more. 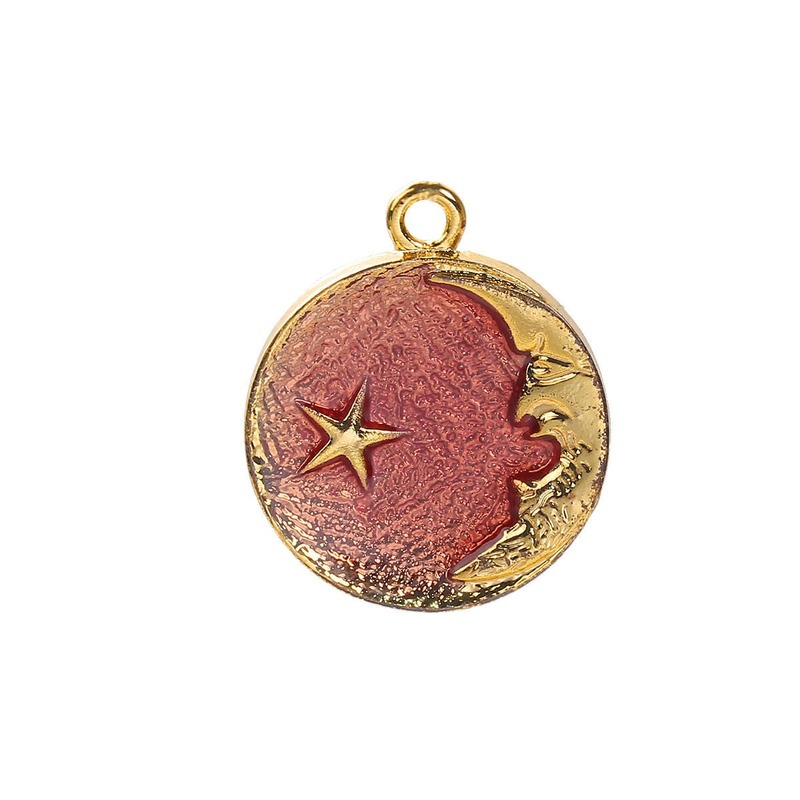 These are lovely charm pendants, great for celestial or eclipse themed jewelry! They are made of zinc metal alloy and are lead and nickel free.